•A beautiful professional office embedded in a large suite of five offices in a quiet location, access to a large shared group/conference space within the private suite, a generous waiting room with coffee and tea service, access to a shared printer, copier, fax machine, and internet, and access to the kitchen area, including microwave and refrigerator. 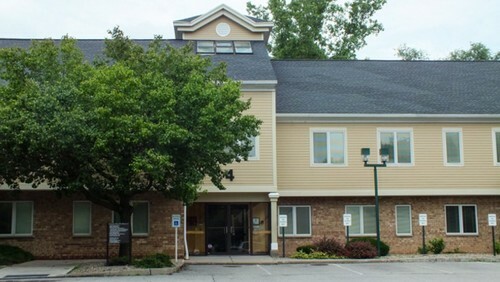 •A business park location with easy access to all parts of the greater Rochester area. •A collaborative atmosphere nurtured with weekly case consultation meetings, hallway conversation and in house continuing education opportunities. •A supportive marketing collaboration where we market your practice and your programs on the CrossbridgeWellness Affiliates website. Open to licensed mental health and wellness related professionals. $650 per month. 1 year lease.